Are you ready to launch a mobile campaign? I’ve been a big proponent of mobile and SMS for a while, but we’re finally getting to the point where the number of mobile users and consumer acceptance is high enough to make entirely viable for most brands. Last week, I had the honor of moderating an outstanding panel discussion about the state of mobile marketing at the Email Evolution Conference (managed by the Email Experience Council). Joined by Dan Flanegan of Brand Anywhere, R.J. Talyor of ExactTarget, and Sarah Shneider of Vestar, we covered the 11 types of mobile programs, multiple case studies, and how to set up a mobile program for the first time. 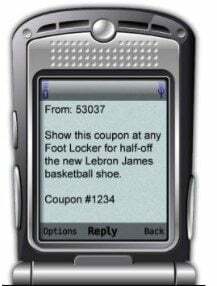 Mobile opt-in (using text messages to enable customers to opt-in to your email/SMS program at point of sale) is a huge opportunity for any company with a retail presence. It’s not nearly as hard or expensive as you might think.